Disabled people are being left behind by the technology industry - both in terms of services and an understanding of what technology can do, a new Ofcom study has claimed. 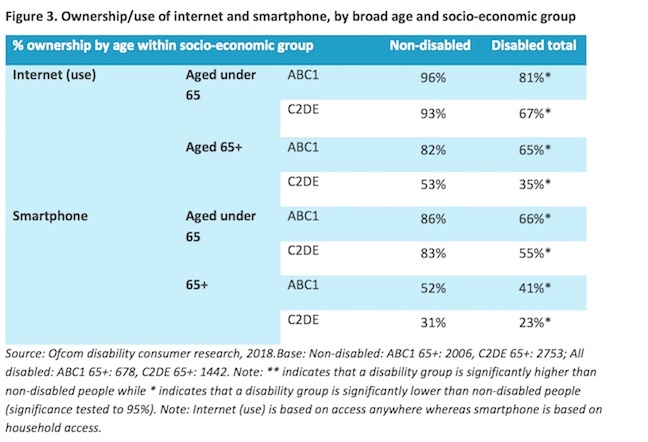 "Fifty-three per cent of disabled people have a smartphone in their household, compared with 81 per cent of non-disabled people... while 67 per cent of disabled people use the internet, compared to 92 per cent of non-disabled people," Ofcom noted. Ofcom also found that around half of those with a disability were confident that they understand the language and terminology used by providers, compared to the 75 per cent average. Older users are more comfortable with laptops than smartphones, the regulator noted. "Those who are not online may not be able to participate as fully in society as they would wish," the regulator found. Disabled people are more likely than the non-disabled to be over 64 and live in C2DE (the lowest three) socioeconomic groups by income. They're also twice as likely to live alone. However with government services as well as commercial services (such as online banking) being pushed to the web, the people who most need them are being left behind. For example, almost a tenth of families eligible for tax credits couldn't use them. 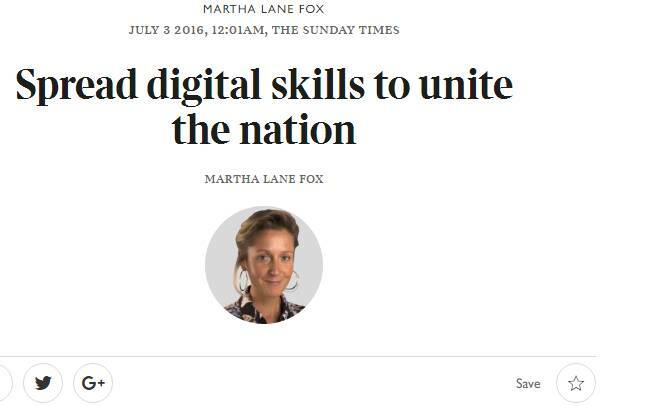 A decade ago the self-proclaimed internet "cheerleader" Martha Lane-Fox - reportedly a direct descendent of the sixth Marquess of Anglesey - told us the internet would lighten up what she called "horrible council estates". She was subsequently awarded a peerage.